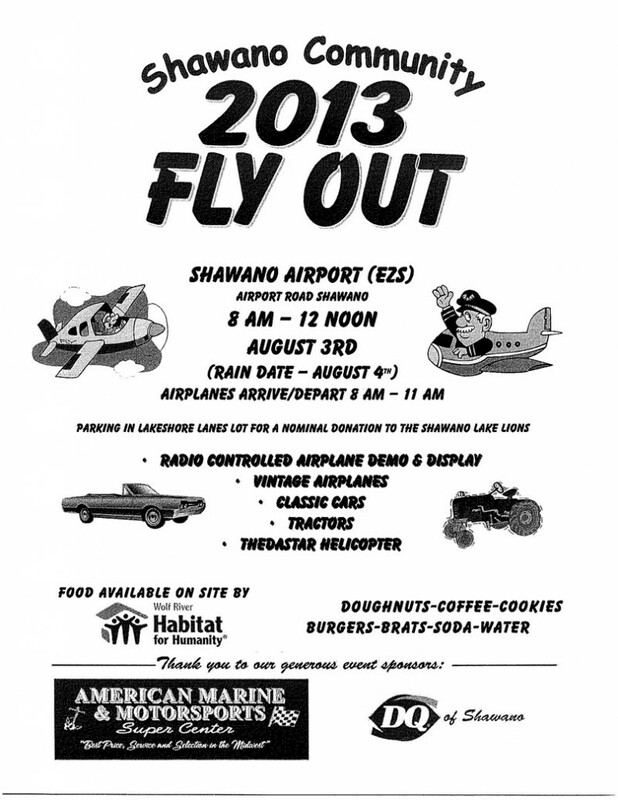 Join fellow pilots on Saturday, August 3rd (rain date Sunday, August 4th) for a short 70 mile trip north to Shawano (EZS) for a free breakfast (pilots only) put on by their local Habitat for Humanity chapter. All proceeds from the event go to them, the only benefit to the airport is the local PR. This long-standing event for Vintage aircraft is a local family oriented event to showcase their airport and give their local folks some airplanes to look at that they would probably never see otherwise. Shawano (EZS) has two runways 12/30 (3975′) and 17/35 (2225′), elevation 810′. CTAF 122.8 / AWOS 118.650. The day of the event they will be monitoring all traffic on 122.8 with a hand held. They will have personnel on the ground the day of the event directing incoming traffic to a designated aircraft parking area. For additional details, check at the Information Counter inside our Red Barn HQ or contact Larry Sperberg, the event chairman in Shawano – work: (800) 924-8120 / cell: (715) 881-0410. Click on the image to the right for a larger view.